"The true promise of a connected society is enabling our dormant potential for empathy." 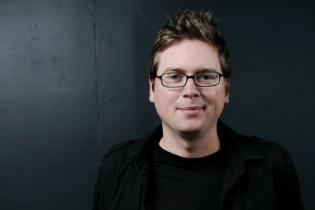 Biz Stone has one of the most interesting and eclectic backgrounds in the startup community. He is behind many tech startups including Xanga, Blogger, Odeo, Twitter, Medium and Jelly. His book Things a Little Bird Told Me is much more than a personal memoir of war stories from Silicon Valley – though there are quiet a few of those. Stone has been at numerous startups and in this collection of personal stories, he shares insights and learnings about business and life. It is clear that he is on a mission to help people go beyond the day-to-day of their lives to encourage them to lead meaningful, fulfilling lives. More importantly, he wants to show people that anything is possible. I found the overtures of his stories and message surprisingly refreshing. He has a deep passion for philanthropic causes and doing good in the world. His experiences have yielded a unique perspective on the possibility of technology in the 21st century and what it can mean for the global community. "…this is the core of entrepreneurship – being the person who makes something happen for yourself." Prior to working at Google, Stone had never applied for a “real job” before. He had always been an entrepreneur, working on self-directed projects. He attributes this gumption to his childhood experiences with creative projects. He tells the story about a family friend who was an electrician and how he considered his basement to be a laboratory. He dreamed up all sorts of interesting things to build and create during this time. This carried over into his adult life as he continues to dream up things to create using technology. He suggests that a useful exercise with any problem or idea is to visualize what you want to see happen for yourself over the next two years. “The goal isn’t to solve anything. If you take an idea and just hold it in your head, you unconsciously start to do things that advance you toward that goal.” Stone is not the first person to suggest the powers of visualization in goal setting, but I do like his take on it – that the practice is what helps you to manufacture your own opportunities. In essence it builds confidence. Furthermore, this confidence helps you seize opportunities or create your own so that you can achieve what you desire. "Think about the question ‘How was your day?’ The answer is almost always ‘Fine.’ But putting constraints on the question – ‘How was your lunch with Steve’ – yields a much more interesting answer." Stone goes on to say that the concept of limitations or constraints is what led to the infamous 140 characters of a Tweet. It was meant to be a creative challenge to Twitter users in their acts of self expression. He encourages readers to think about what limits they can places on themselves or their projects to increase creativity. 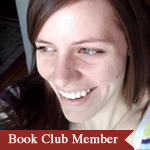 "In fact, [failure] was a critical component of growth. By sharing it with our users, we were showing our ultimate confidence in ourselves and our success. We weren’t quitting, and we hoped our faith would inspire others." Anyone who used Twitter in the early days probably has memories of the Twitter fail whale – an ominous graphic and error message that seemed to appear anytime you had something clever to say. This was a significant problem with the Twitter platform. They were especially motivated to make it more stable leading up to the 2008 presidential election. For the Twitter team, Stone shared, it was a particular point of pride and passion when they realized the influence and the possible role that Twitter could play in a large societal conversation. Luckily, Twitter exceeded and sustained its normal capacity on that historic night. While the error messages and fail whale were annoying for users, many people during that time rallied around the Twitter team to encourage their work. Stone says that this played a significant role in their ability to push forward and innovate. In many ways, I think this story is an example of the power of authenticity and transparency. It’s not something we see often in the corporate setting. But when a company models this for their community they foster even more loyalty. Stone’s story of persistence, creativity and innovation is inspiring. But I was most inspired by his nature and humanity. He sees that there is more to life than just the day to day and the projects we work on – that there is a bigger, brighter possibility to change the world for the better.